Product categories of Wheel Nuts, we are specialized manufacturers from China, Wheel Nuts, Wheel Lug Nut suppliers/factory, wholesale high-quality products of Truck Wheel Nut R & D and manufacturing, we have the perfect after-sales service and technical support. Look forward to your cooperation! Choosing the right lug nuts and wheel studs for your wheel application is important for safety reasons as well as appearance. 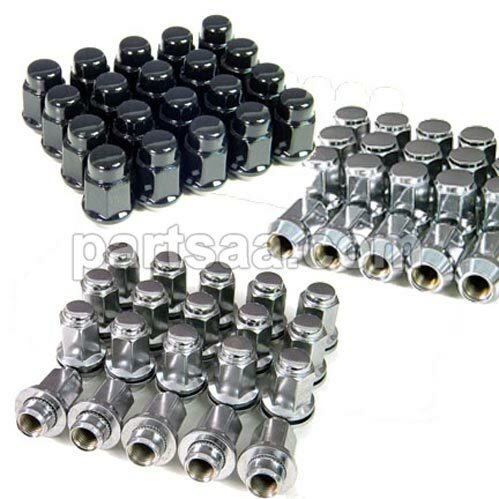 Carries Right hand and Left hand lug nuts in all sizes as well as lug bolt kits. Sizes include 9/16, 7/16, 1/2, 12x1.25mm, 12x1.5mm, 14x1.5mm, 12x1.75mm, 14x2mm, and more. produced by automatic cold extrusion machine, and surface treatment: zinc plated, chrome plated, balck, and neo-chrome plated.